When searching for exterior Porch Posts/ columns, the problem often starts at those big box renovation stores. 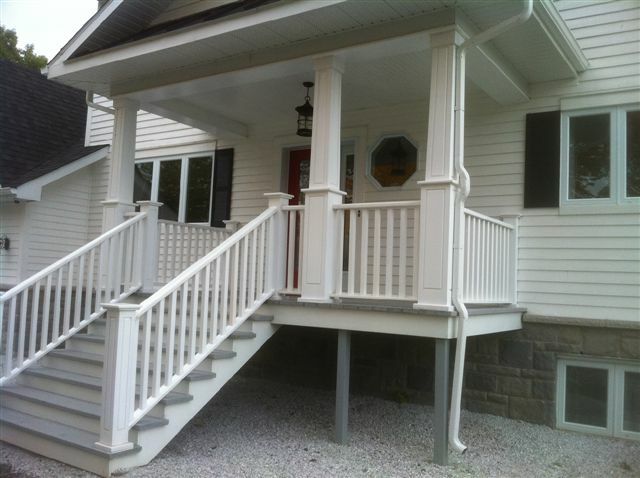 You’re in the final stages of a home renovation project looking for several entrance exterior or porch posts to complete your vision and the only options to choose from are cheap looking vinyl columns, or porch posts made from aluminum that look as flimsy as they sound. Material choice aside, you are generally limited to only a select number of porch post heights and sizes and often, having custom exterior porch posts made is very difficult. We would like to introduce you to the alternative; The Missisquoi Collection, made in Quebec. 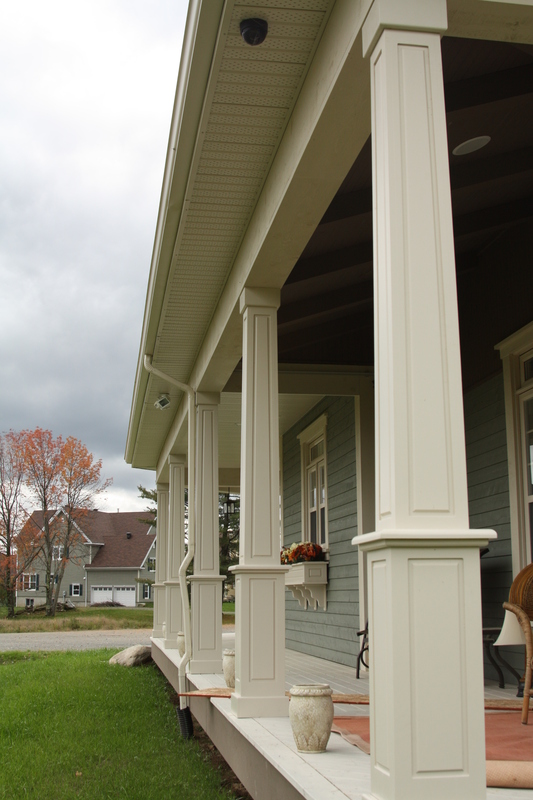 Our exterior columns and porch posts are made from Extira, a green panel product that resists moisture, rot and termites and offers excellent performance for our Quebec environment. It is a perfect material for our and it can be machined using our CNC technology to create virtually any design you require. 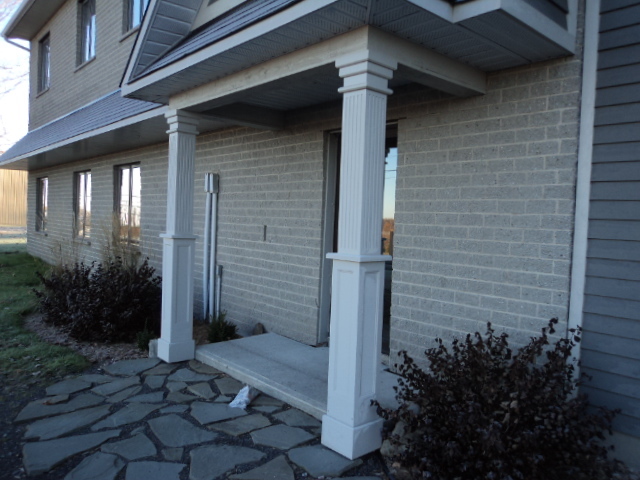 Whether you are looking for Quebec-made exterior columns that feature the look of floating or recessed panels, or vertical grooves, nearly all options are possible. Once assembled, they are primed and painted to suit your home and complete that final touch. Our exterior columns can be used for both decorative purposes or as functional supports by using a steel jack insert to bare loads. Using this system the installations is quick and simple. 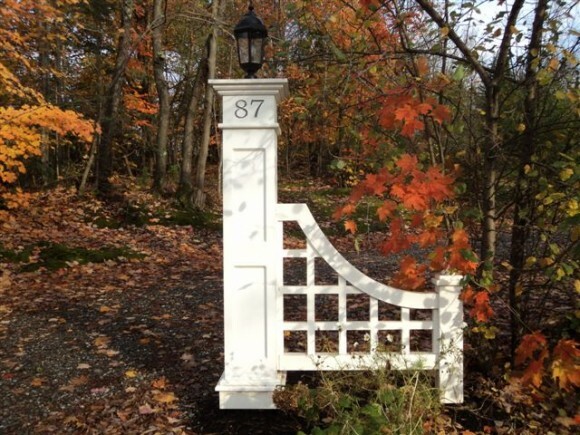 For more information on how we can help with your column/porch post needs, please contact us or visit our showroom in St. Alphonse-de-Granby, Quebec.